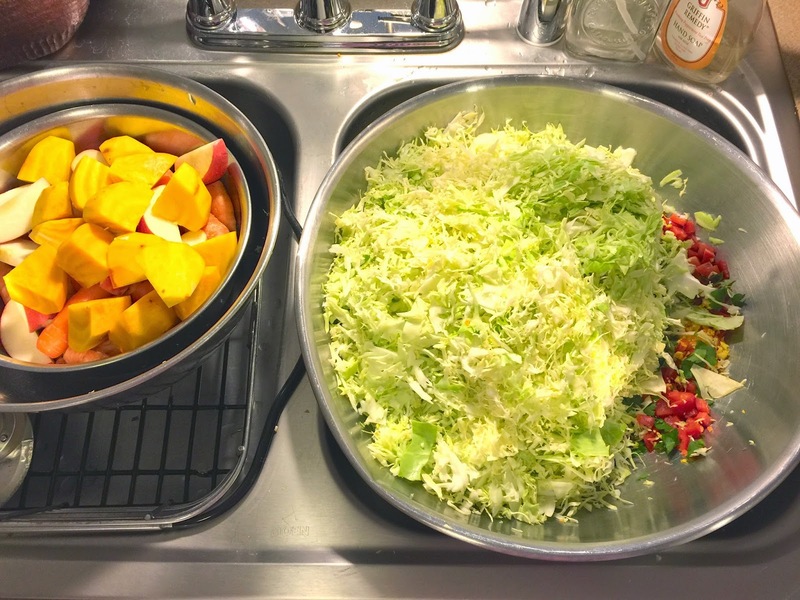 I finally took some pictures of my kraut-making process. I apologize for the amateurish photos, but I was by myself and up to my elbows in vegetables–nevertheless, I think you’ll get the idea. For anyone who believes their kitchen isn’t big enough, this will show you that it IS possible, even if you live in a shoebox, like me. My apartment is about 820 square feet, and as you can see, my kitchen’s the size of a postage stamp. What you see in the first photo is all there is. I’m organized. I stack things. I clean up behind myself continuously. It can be done! 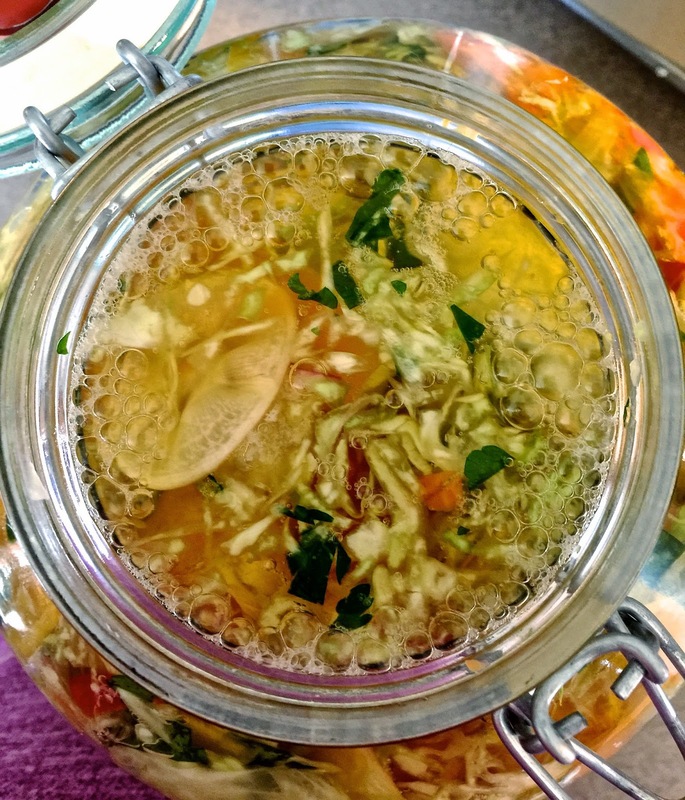 **For more about the health benefits of naturally fermented vegetables, I’ve devoted an entire chapter to this subject in my book, Is the Paleo Diet Right for You? Ancient Wisdom Meets Modern Science, available on Amazon. You’ll need some basic equipment. 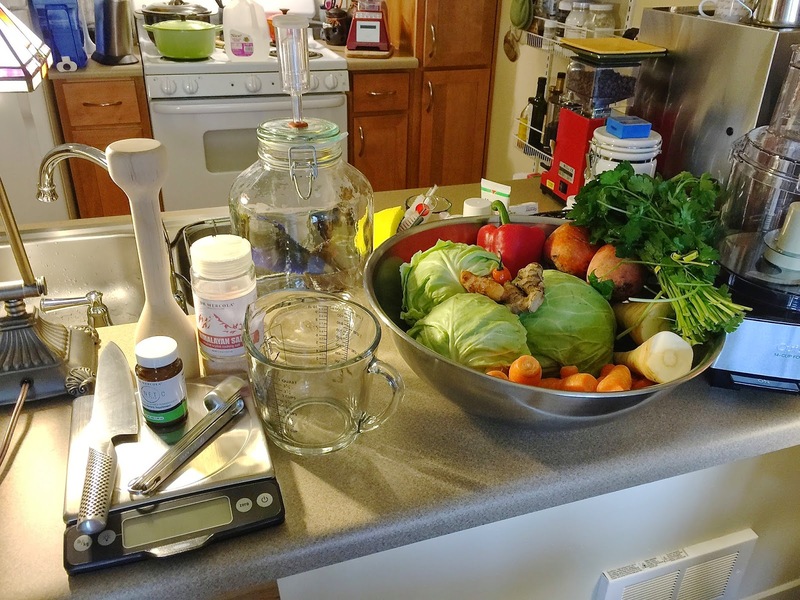 At the very least, you’ll need some good, sharp knives, a cutting board, measuring spoons and cups, glass jars (Mason jars or special anaerobic fermentation jars), and a jumbo size mixing bowl. 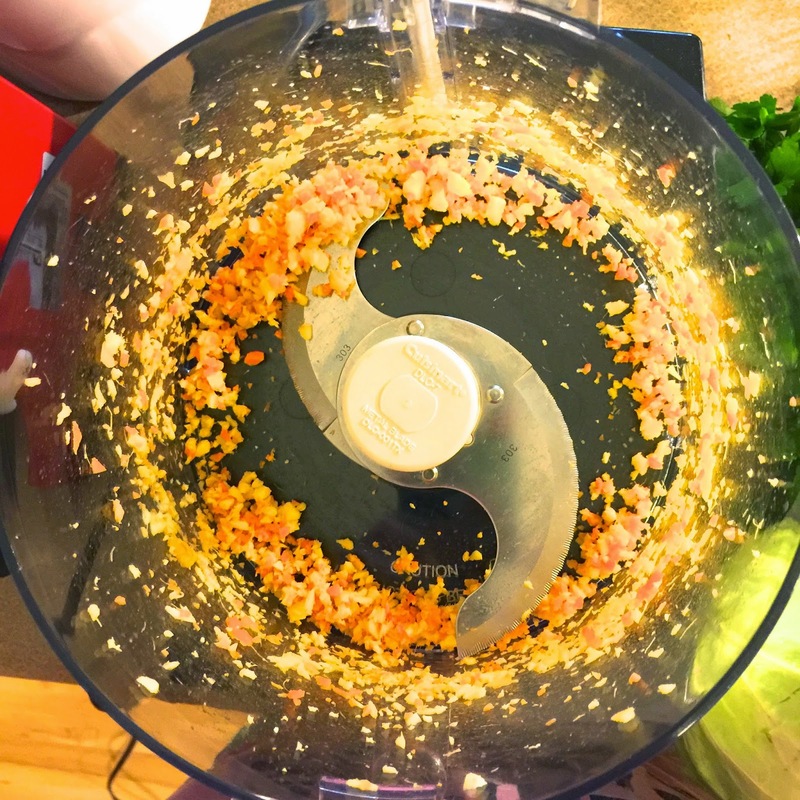 I think it would be very challenging to make a large quantity like this without the help of a food processor, but if you don’t have one, you could certainly cut the recipe down and do it all with a knife–more power to ya if you go this way! Here is my basic recipe, which makes about a gallon, packed. Even though I call this a recipe, I never make it exactly the same way twice. Sometimes I can’t find certain vegetables and I will only buy organic, so it depends somewhat on availability. But the recipe is very forgiving–play around with it and see what you like. Thoroughly clean your veggies. I recommend using 100% organic produce to avoid any chemical contaminants. Trim off any parts that look like they might be turning–and the fresher they are, the better. 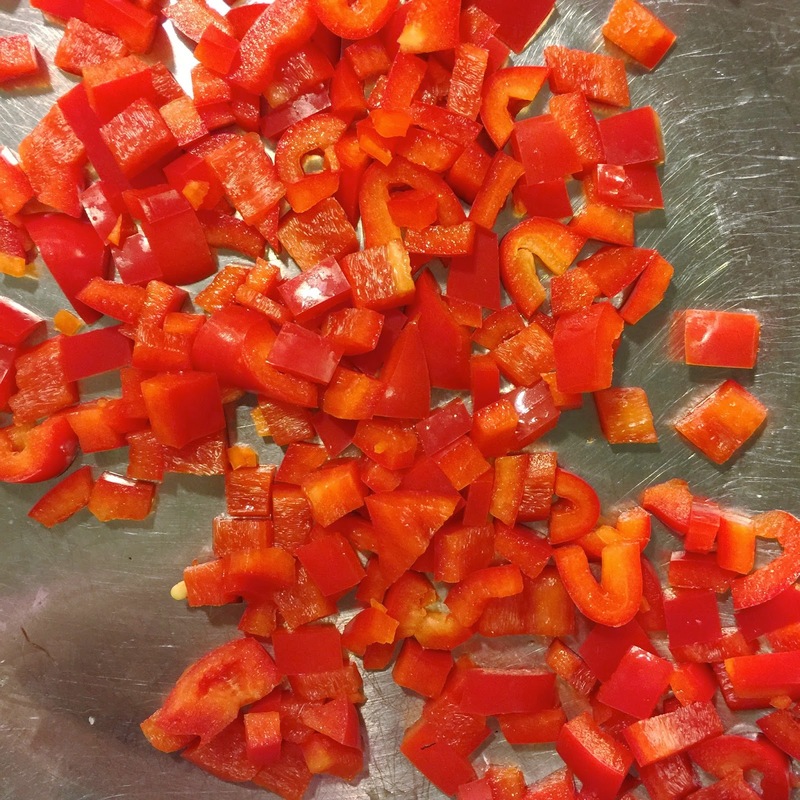 I like to hand cut the bell pepper and parsley, then use the chopping blade in the food processor to finely chop the ginger. This time, I added one nub of fresh turmeric (that’s the orange thing you see in the food processor, along with the ginger). As I finish chopping each item, I add it to my ginormous metal mixing bowl. It’s beat up and won’t sit flat–it rocks–but it’s the largest bowl I have. It’s important you have a bowl that’s large enough to get your hands into, in order to turn it all thoroughly without the contents spilling out over the edge. So here is what I have so far in my Big Wobbly Bowl… isn’t it BOOTIFUL? 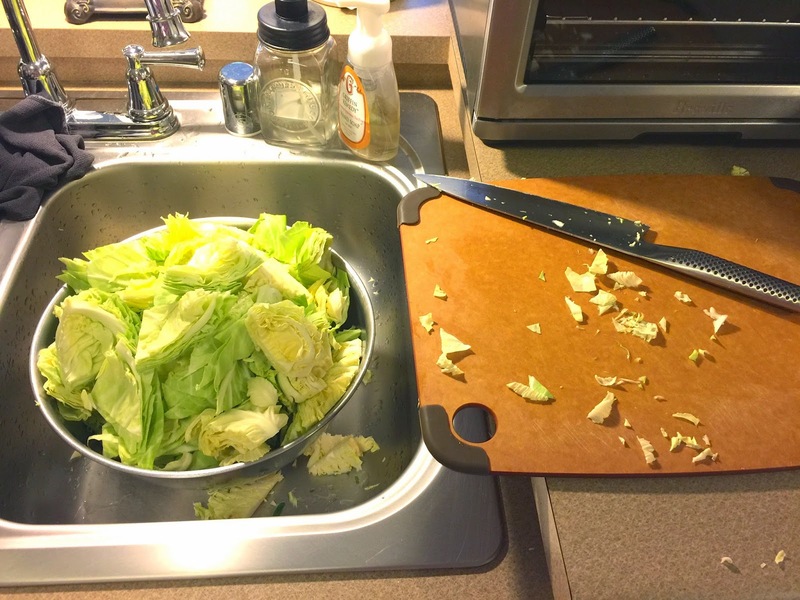 AND now, for the cabbage… I chop it into wedges that will easily pack into the chute of my food processor. It’s about to get messy and you’re going to have cabbage flying everywhere. Just accept it–it’s just cabbage! 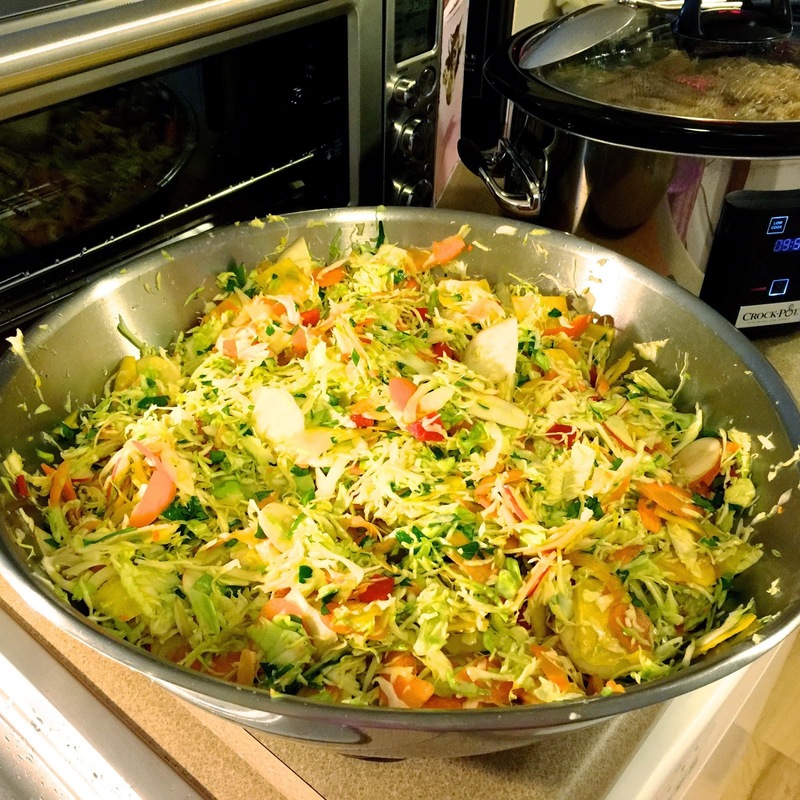 Then process it with a large shredding disk, which typically takes me 2-3 loads–then into the Big Wobbly Bowl it goes, with everybody else. FOR the root vegetables and apple… I like to leave the apple peel on as it creates nice little red strip “highlights” in the finished product. 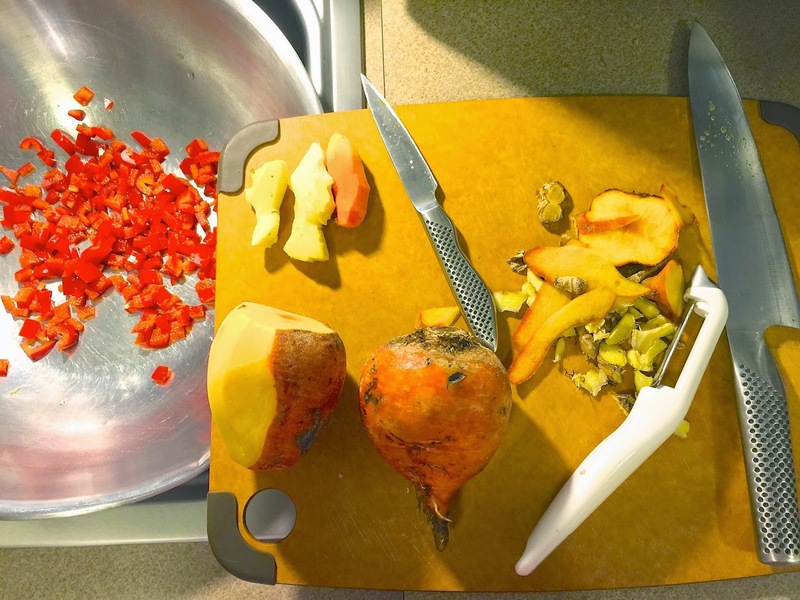 I peel the sweet potato and golden beets, but not the carrots or parsnips. Now all of the veggies are shredded/sliced thinly and piled up in Big Wobbly Bowl. The next step is dissolving your salt and culture in filtered water. 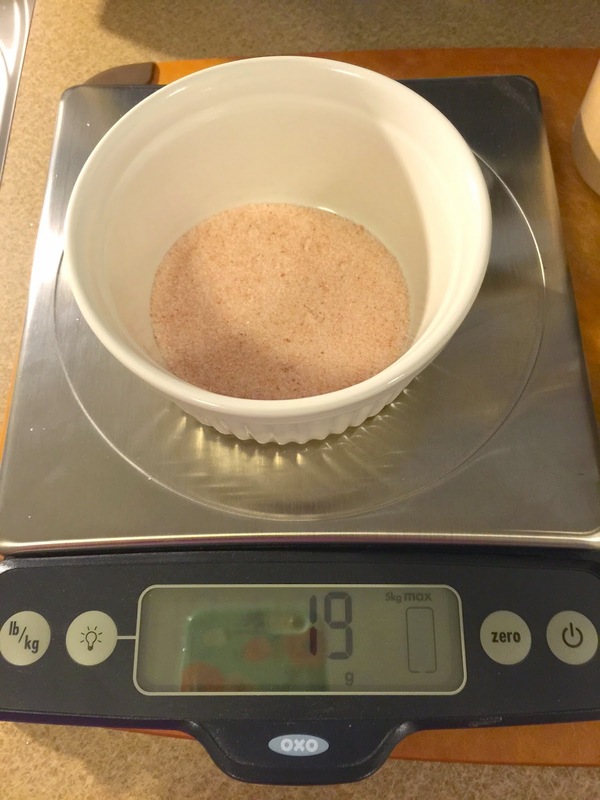 I use Kinetic Culture, so I’ve calculated the amount I need for this recipe to be 1.5 teaspoons. Just follow the directions that came with whatever culture you’re using. Although you don’t have to use salt when you use a culture, I believe it improves the flavor profile, with the additional benefits of the added trace minerals in Himalayan sea salt. I like about 19 grams of salt, which is roughly one tablespoon. So, dissolve the salt and culture in the water and pour it over the veggies. 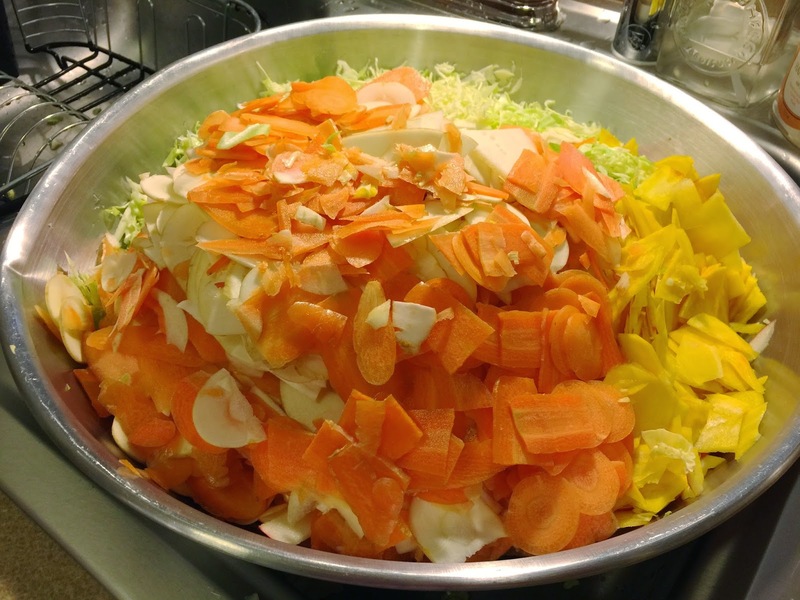 For this mound of veggies, 3 cups of water works well. It could be anywhere from 2 to 4 cups, but your finished product needs to have enough “brine” to cover the veggies when packed down. Wash your hands again–you’ll be getting up close and personal with your kraut mix–up to your elbows in fact. Hands are the best kitchen tools ever invented. Now, using your clean hands, mix the entire contents of the bowl thoroughly. 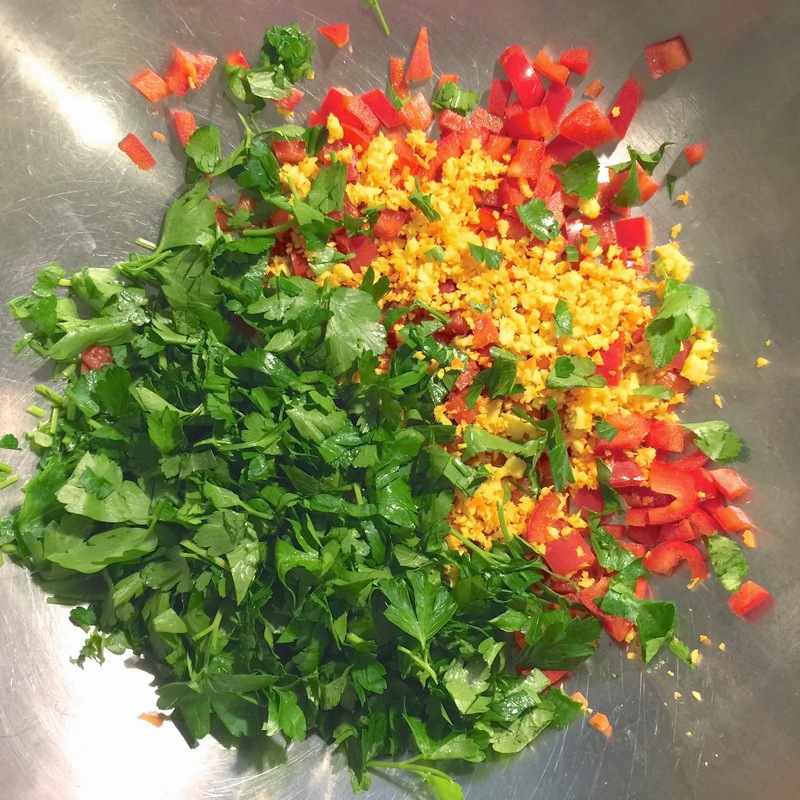 Don’t be gentle about it–crush the veggies in your hands as you fold the mixture around. The more crushing and massaging you do, the more juices will be released. Now it’s time to pack your jar (or jars). 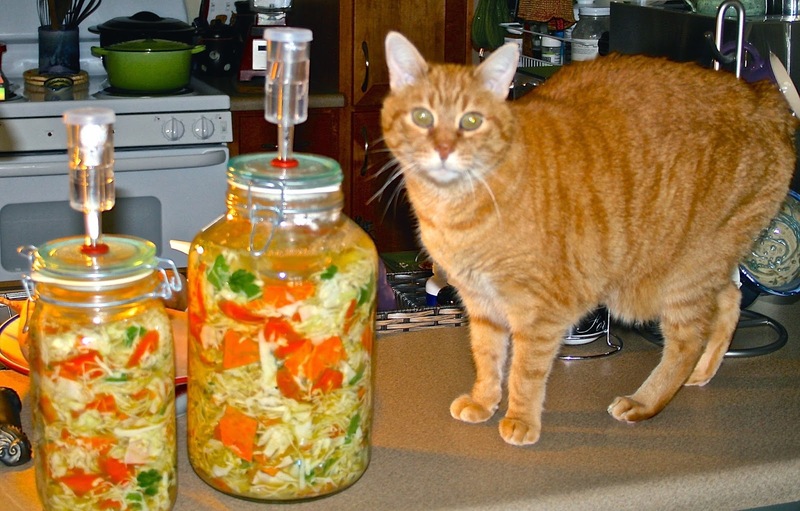 My favorite fermentation jars are anaerobic fermenting jars made by Pickl-It. This recipe fits perfectly into their largest jar (5 Liter), leaving just enough space for the bubbling. I find that my hand works the best for packing. Don’t be shy about packing it down–you want to eliminate all air pockets. 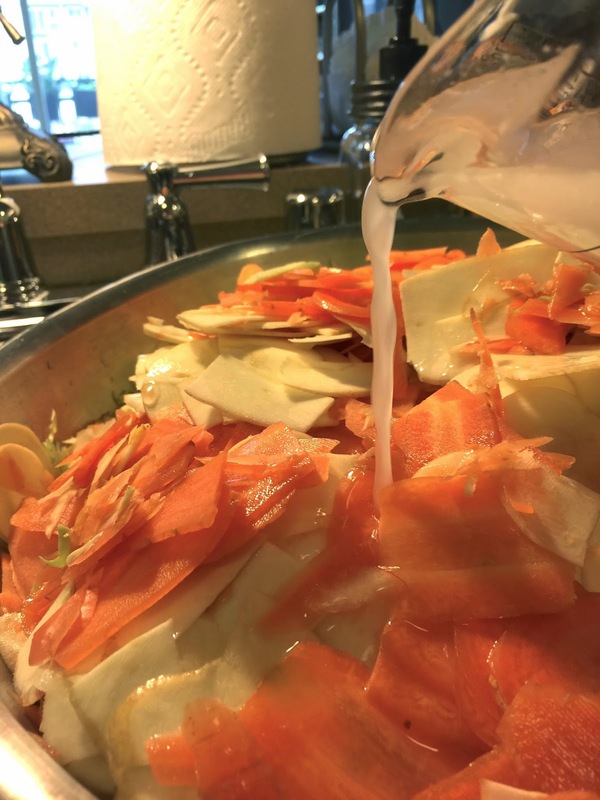 Make sure the veggies are completely submerged in the brine. I do the final pack-down with a kraut pounder. You’ll be amazed how much fits in one jar! OK, you’re almost done–all that’s left is the partying (the partying of the bacteria, that is)–and party they WILL! 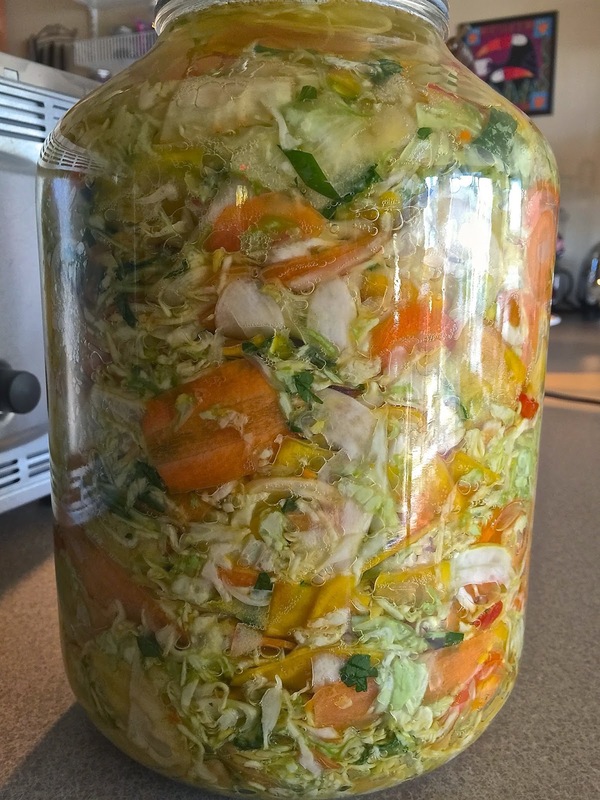 You don’t have to have a fancy fermentation jar to make this work. Large mouth quart-sized Mason jars work very nicely. But if you do use Mason jars, make sure NOT to tighten the lids down–leave them loose so gases can escape or you risk the jars cracking under pressure. Gases build up, which makes the whole mixture significantly expand. Make sure you leave some space between the top of the mix and the top of your jar for this expansion. If you pack your jar too full, you might walk into a squishy mess of brine on your kitchen floor tomorrow morning (um…voice of experience). Let the jar sit at room temperature (68 to 75 degrees F) for about 3 to 7 days. 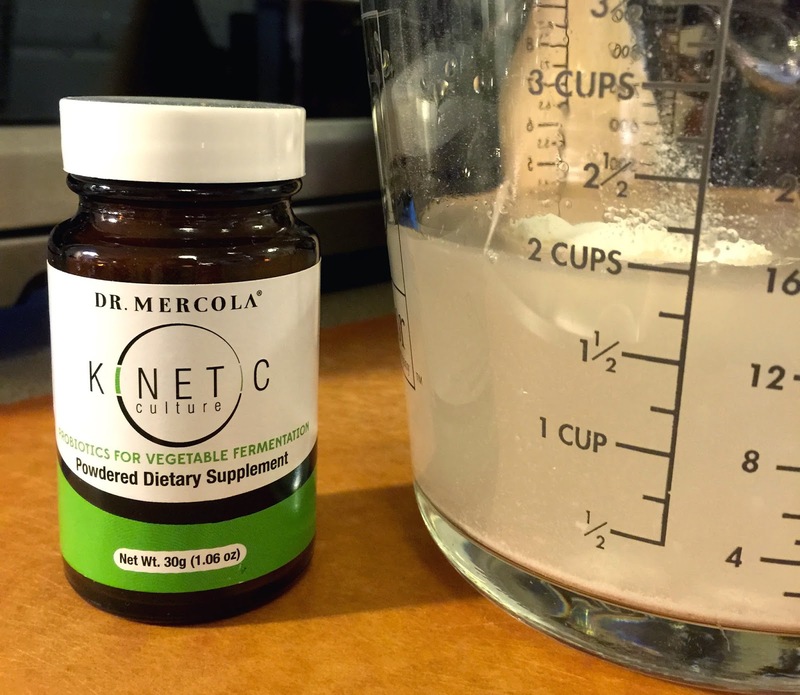 My experience is that it typically takes 4 days to reach optimal fermentation with Kinetic Culture. Beginning on day 3, start tasting for “doneness,” meaning degree of sourness. This is completely subjective, but keep in mind it will get slightly sourer over time. 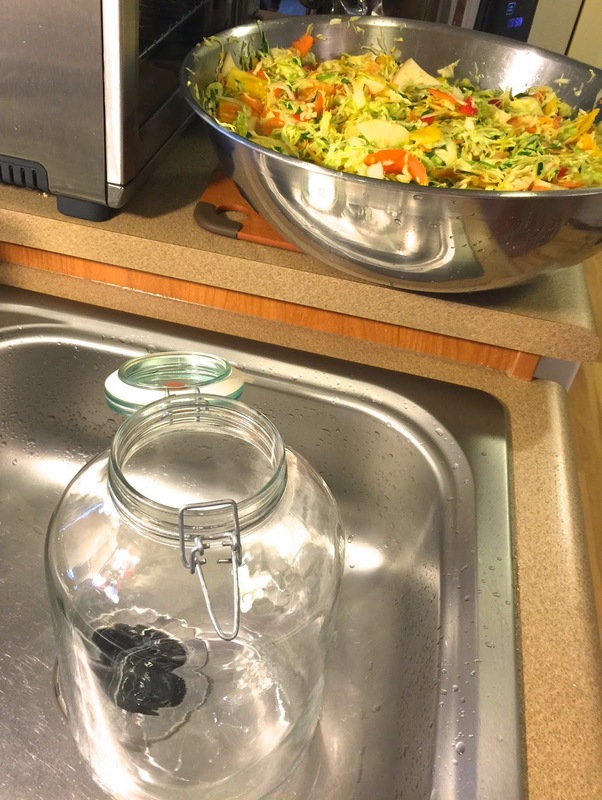 When satisfied with the flavor, snug up the lids (if you’re using Mason jars) and put them in the refrigerator, which will drastically slow down the fermentation process. The veggies will keep at least 3 months in the fridge, and typically much longer. Never freeze the cultured veggies. Don’t heat them above 100 degrees F or you’ll kill off those highly valuable microorganisms. Resist eating your veggies directly out of the jar, as this can cause spoilage by introducing bacteria from your mouth. Always use a clean spoon to remove your portion, and make sure the remaining veggies are covered with brine before securing the lid. 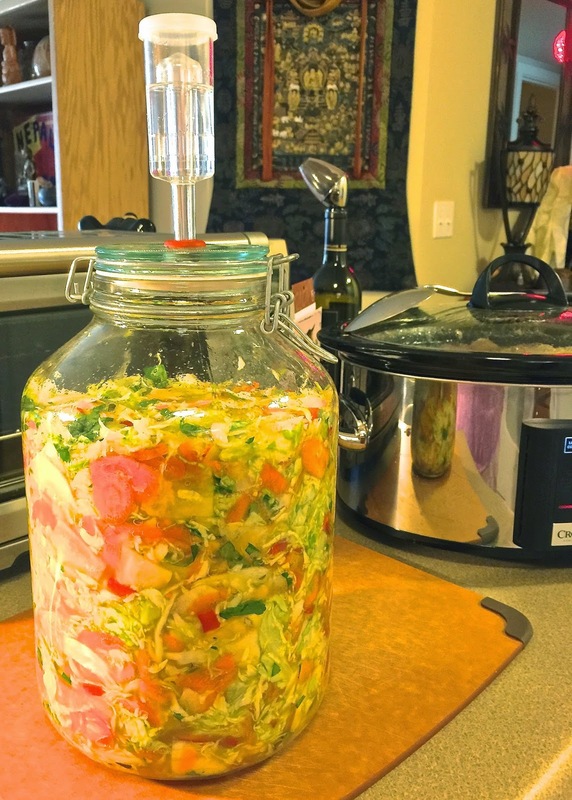 If you haven’t eaten fermented vegetables before, start slowly to allow your system to adjust. Begin with just a teaspoon or two (or just the brine), and work your way up to ½ cup veggies with each meal. Don’t discard the brine—it’s teeming with wonderful bacteria, making it a great digestive tonic for a multitude of issues. You can drink one tablespoon to several tablespoons at a time, several times a day. The brine is safe and beneficial for babies and pets as well. Try the veggies in place of lettuce on a sandwich, on a salad, or mounded into an avocado!